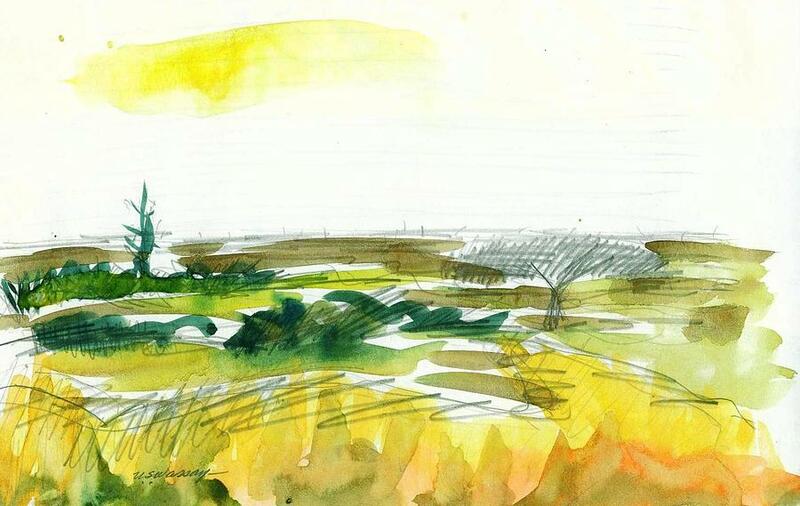 Open Landscape 3 is a mixed media by Ujjagar Singh Wassan which was uploaded on October 5th, 2010. Broad brush handling of this painting retains the freshness and disregards the unnecessary detail. The minimal modelling of the bushes is handled with graphite pencil. There are no comments for Open Landscape 3. Click here to post the first comment.